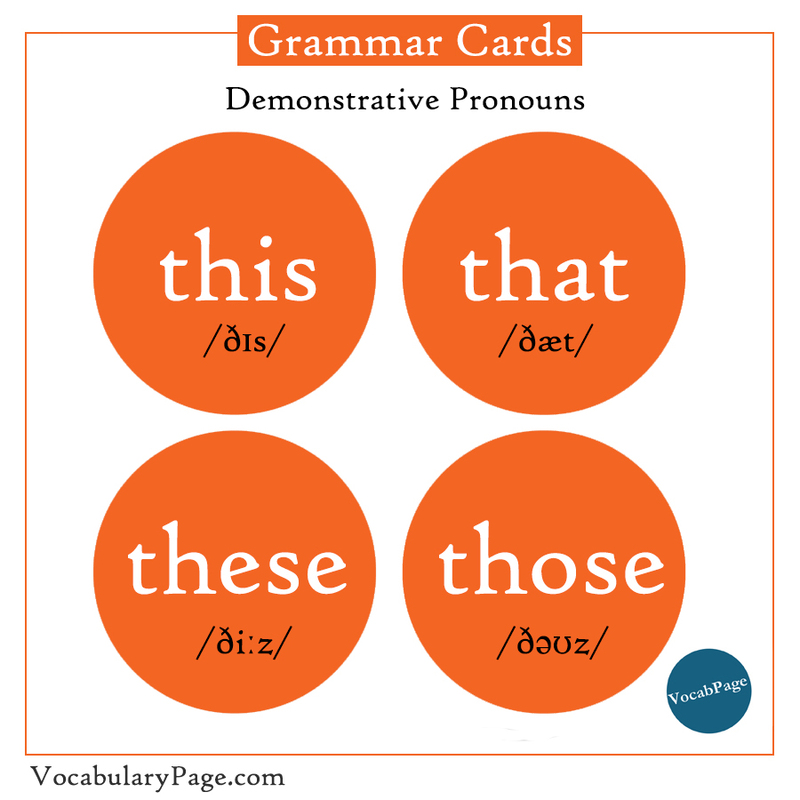 This, that, these and those are demonstrative pronouns. We use them to point to specific people or things. 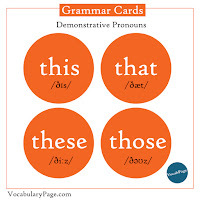 Demonstrative pronouns are used in place of a noun. 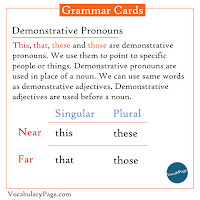 We can use same words as demonstrative adjectives. 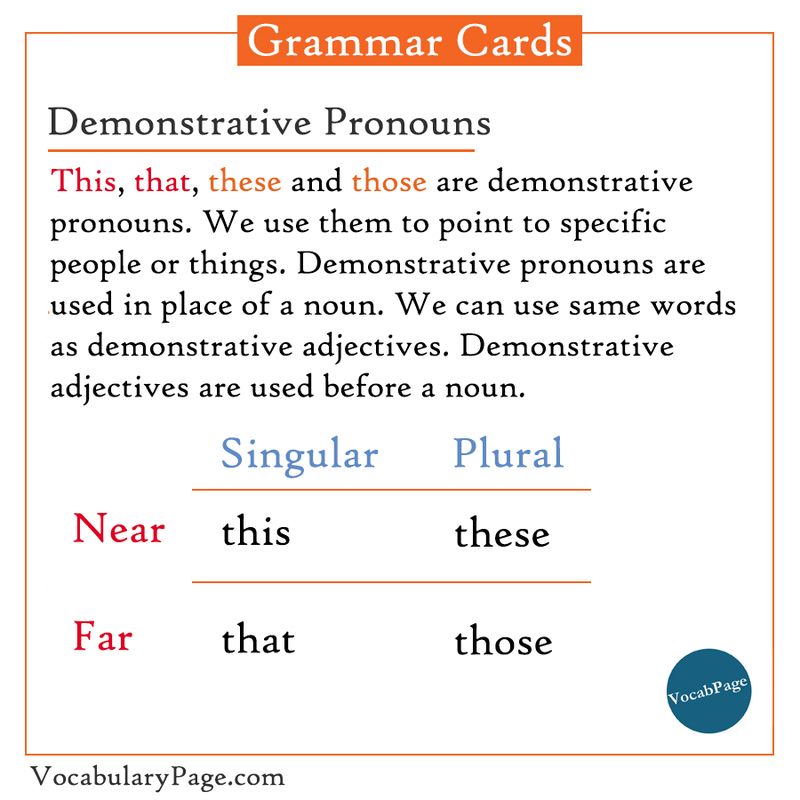 Demonstrative adjectives are used before a noun. This car is very expensive. Can you bring me those? How much are those shoes? This and that are used with singular nouns. 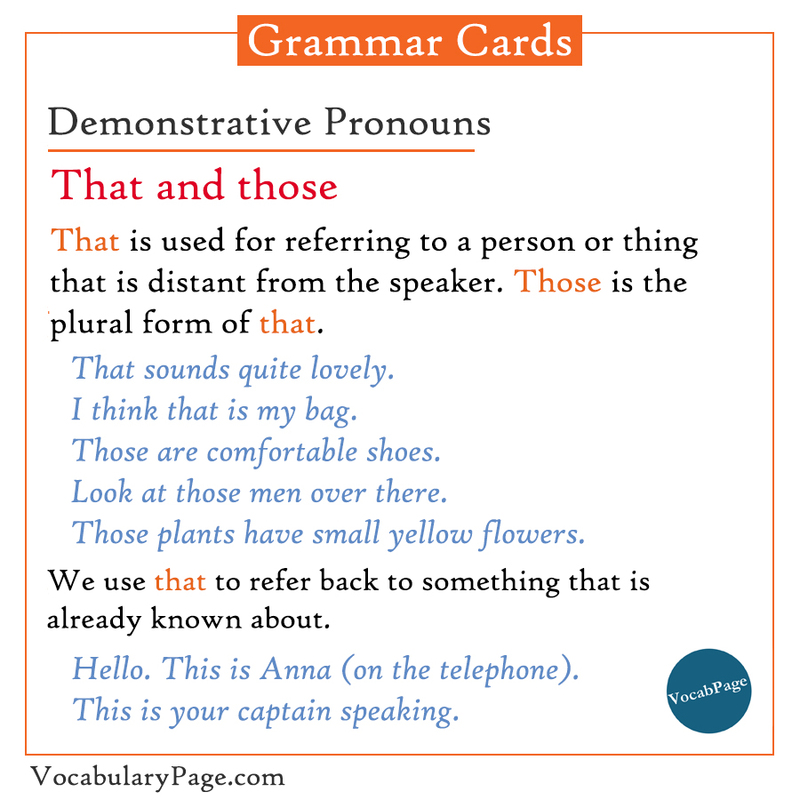 This is used to refer to a person or thing that is near the speaker. 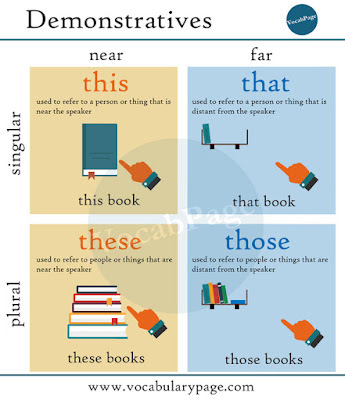 These is the plural form of this. This is my favourite book. This carpet is very old. Where did you get these shoes from? 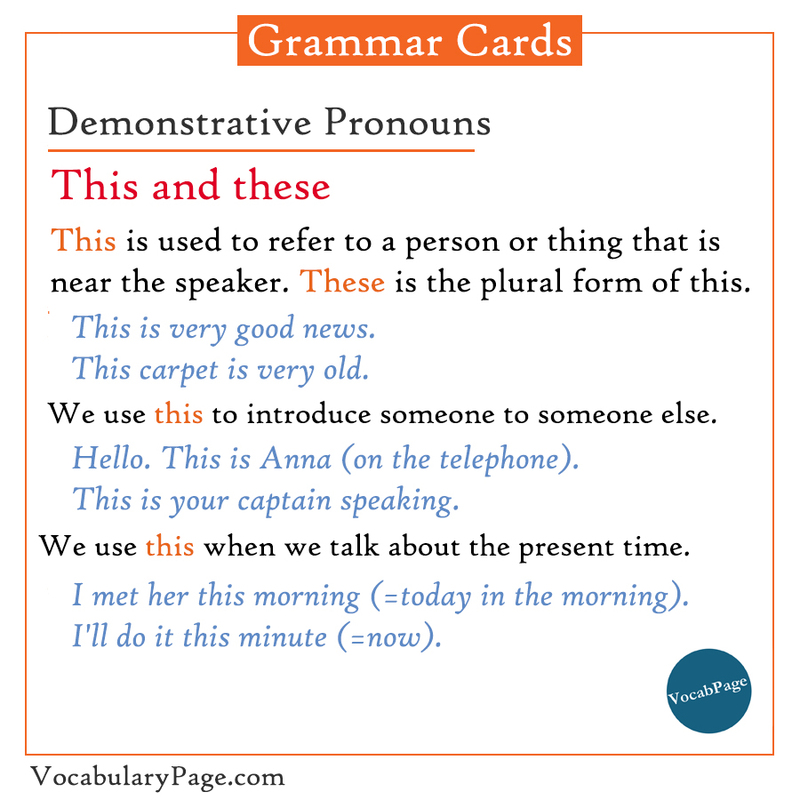 We use this to introduce someone to someone else. Hello. This is Anna (on the telephone). 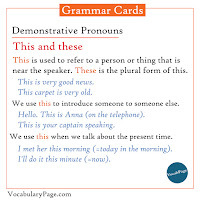 We use this when we talk about the present time. I met her this morning (=today in the morning). I'll do it this minute (=now). 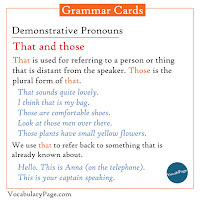 That is used for referring to a person or thing that is distant from the speaker. Those is the plural form of that. I think that is my bag. Look at those men over there. Those plants have small yellow flowers. We use that to refer back to something that is already known about. That incident sticks in my mind. We weren’t married at that time.